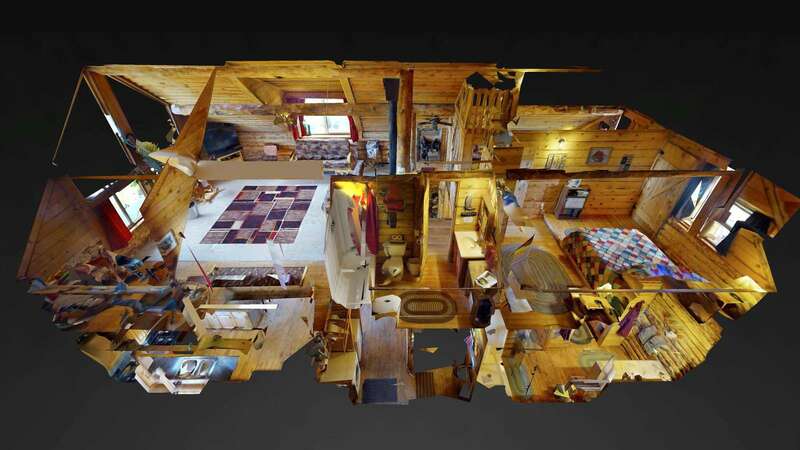 3 bedroom with loft, futons in the TV room, Full Kitchen, Dining Room, 2 big screen TV's, campfire bowl, sleeps up to 12. 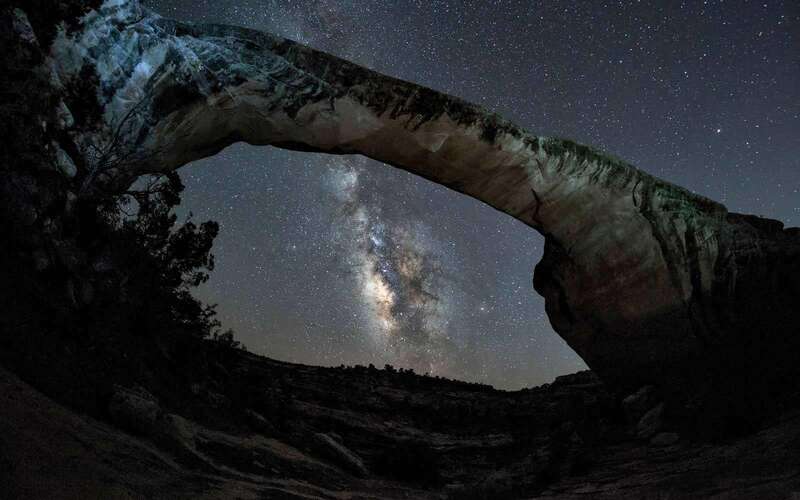 Central among more than a dozen state and national parks and monuments, and many ancient ruins. Canyon View Family Lodge is a guest favorite! 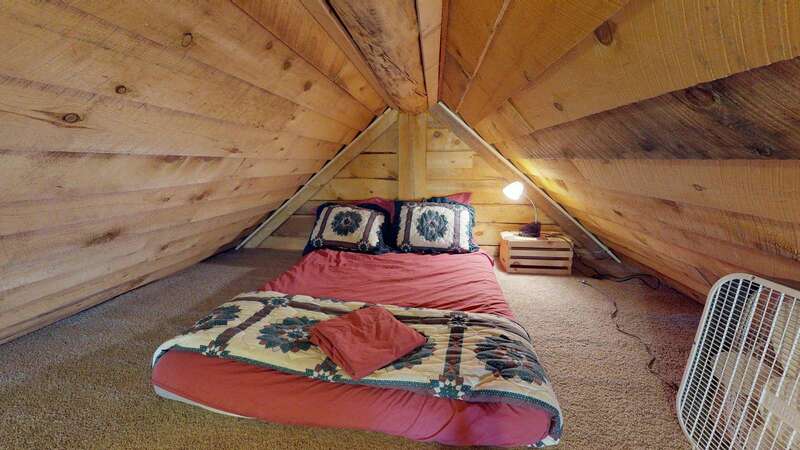 Sleeps up to 12 in beds including the futons. 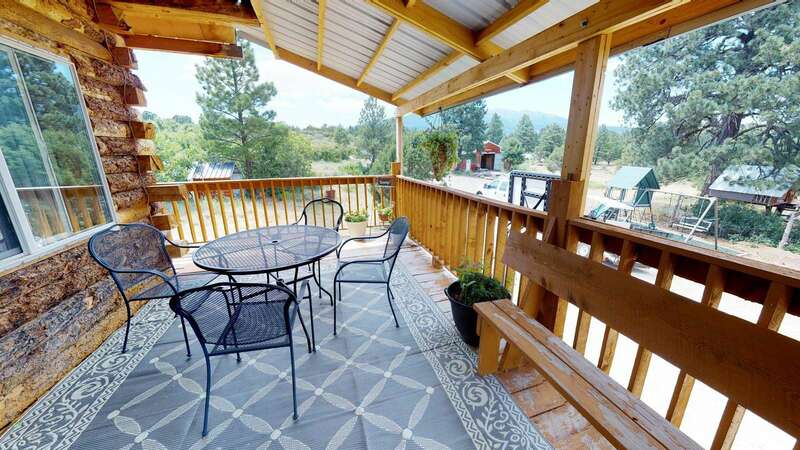 Set in a beautiful location at 7,200' elevation - surrounded by trees in the forest at the foot of the Abajo mountains, this cabin is the ideal location to relax - while remaining central among more than a dozen state and national parks and monuments! Featuring a spacious main level Master Suite with a full bathroom and shower. 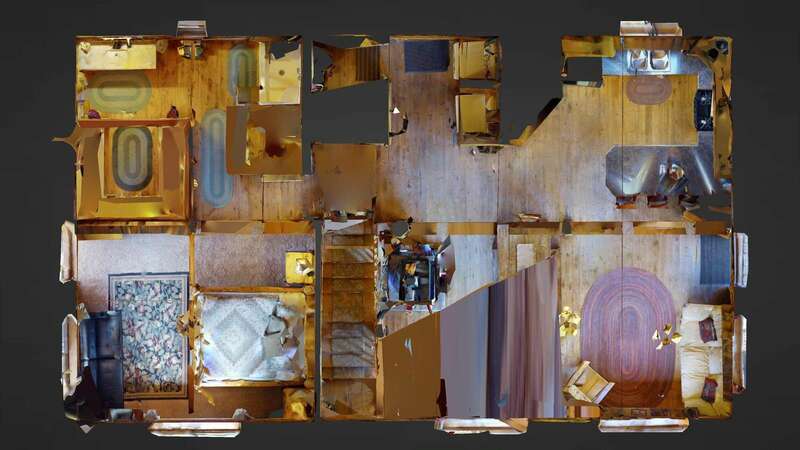 Also has a full kitchen, dining table and a plush sofa. 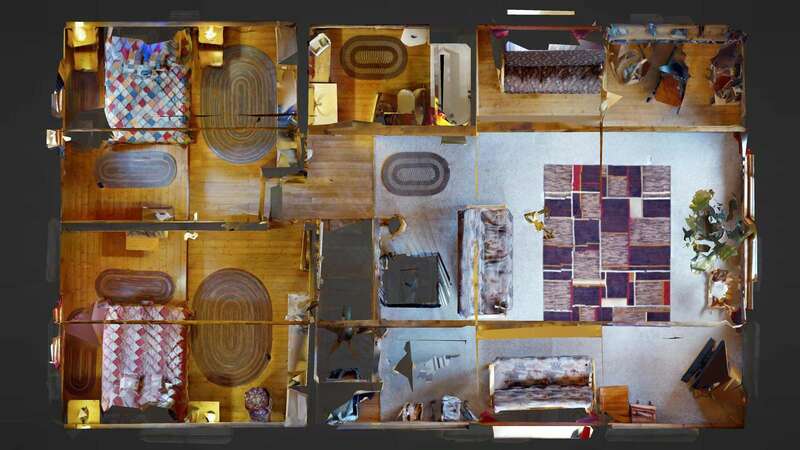 The upper level features two additional bedrooms (each with a queen bed), a full bath w/ tub/shower, large family room with three queen futons and big-screen TV! 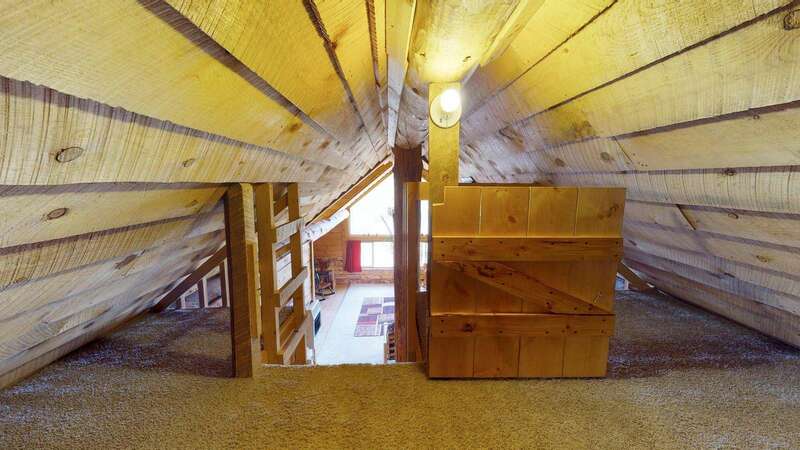 And don't forget the extra loft w/ carpet and a full bed! Cable tv w/DVD player, wi-fi and all linens are provided. 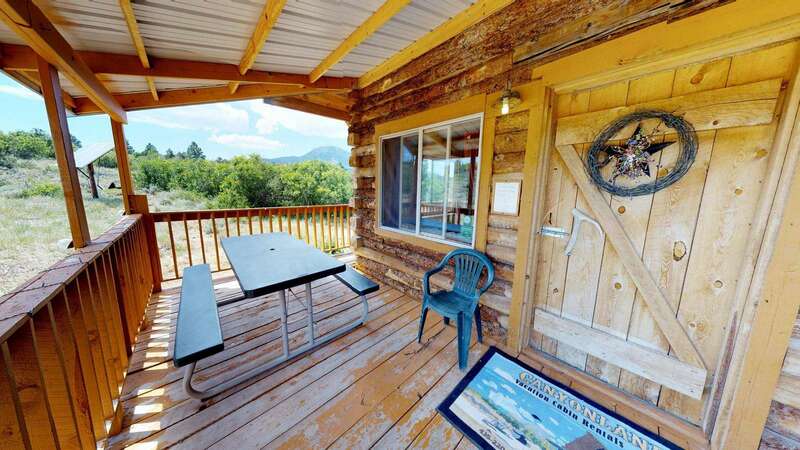 Outside you'll find a beautiful forest, a large family campfire area, covered deck, picnic tables, and BBQ grill. 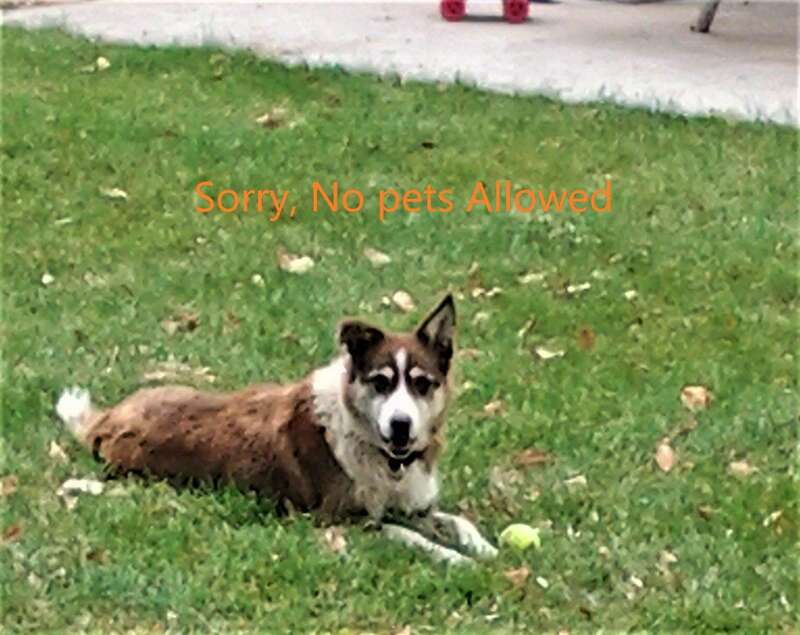 There is also parking for all your vehicles, trailers and toys! Enjoy morning and evening walks among the deer and wildlife on more than 3 miles of private trails. See you soon! This property has 3 Queen(s), 1 Full(s), 3 Futon(s). 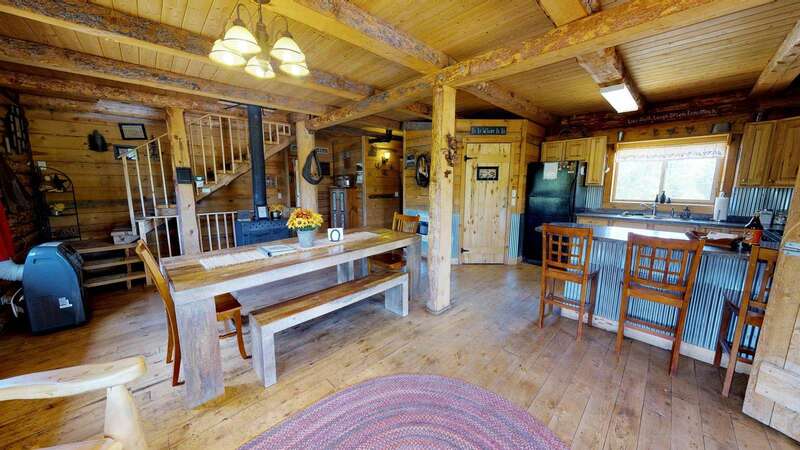 Awesome cabin in great location! Spacious for 3 families of 4 and extremely comfortable after a long day of climbing and hiking in Utah!! Would stay again in a heartbeat!! Fantastic house! 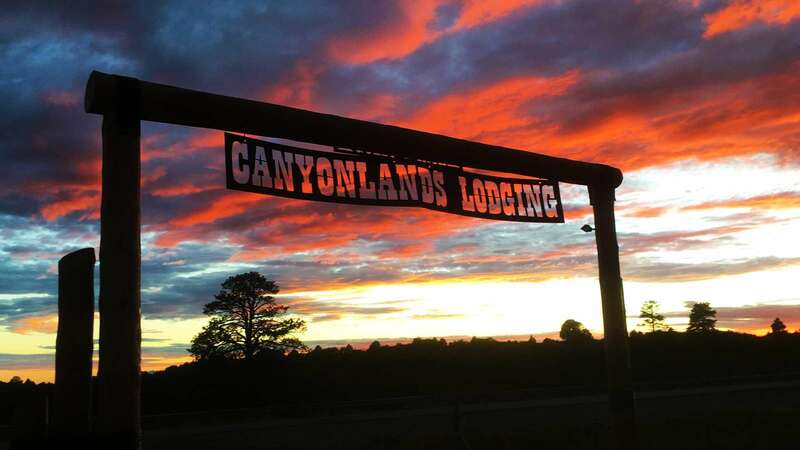 We loved our visit to Canyonlands Lodging. Perfect location and wonderful house in a very beautiful area! Thank you for a lovely vacation! Great place, great hosts! We loved our time here. Our hosts thought of everything -- a well equipped kitchen, plenty of towels, comfortable beds, very clean. I'd highly recommend this place. Oh, and the S.W. Utah country is spectacular. The cabin was beautiful, quirky, and such a lovely spot for a weekend! Clean, very well equipped. All the comforts of home! It is a beautiful and spacious home. If you have any issues, they come to solve whatever it is. Picturesque place! 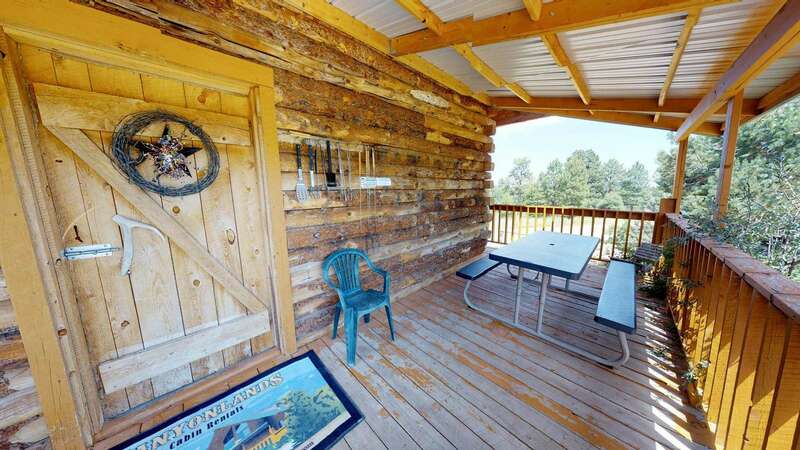 This is a cozy, secluded, warm cabin that has everything you could want for a stay in the Canyonlands area. We especially loved the fire pit. 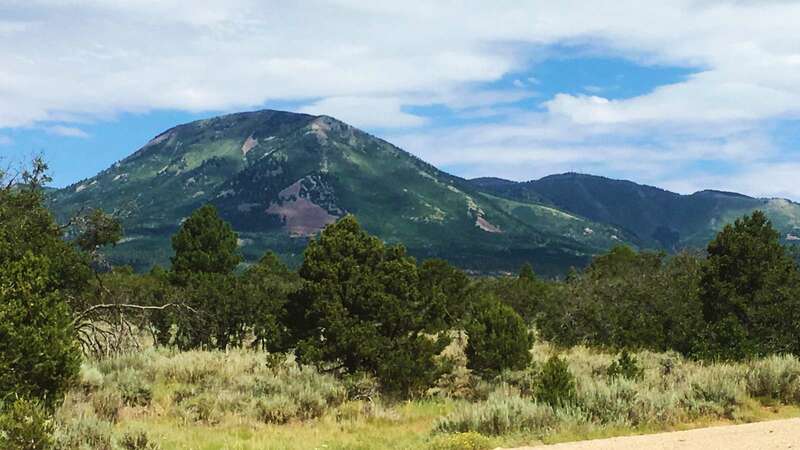 We used the cabin as a home base for a rock climbing trip in Indian Creek but there are many beautiful places to explore within driving distance. Jerry was a very responsive host who went out of his way to make us happy. I hope we will be able to return soon! 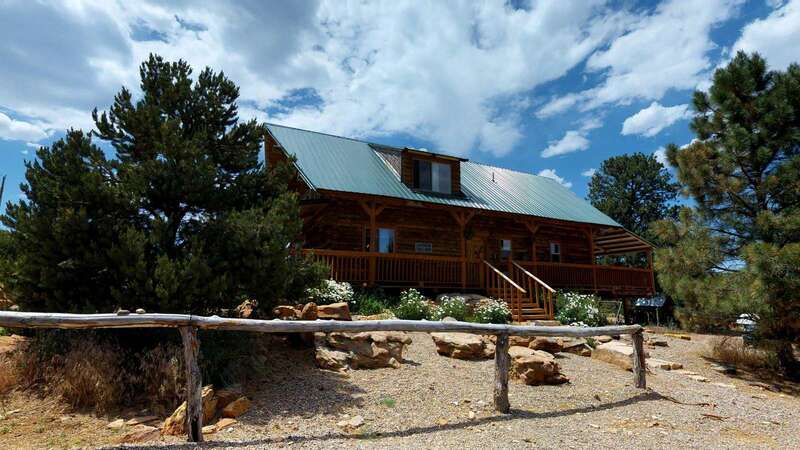 This canyonview cabin is exactly as advertised and is a wonderful place to stay when visiting eastern Utah. I hope to stay here again someday soon. Our stay at the Canyonview Family Lodge was incredible. The area is just secluded enough and offers scenic views all around. It's very peaceful and full of wildlife. The grounds are also great for walking and enjoying nature. 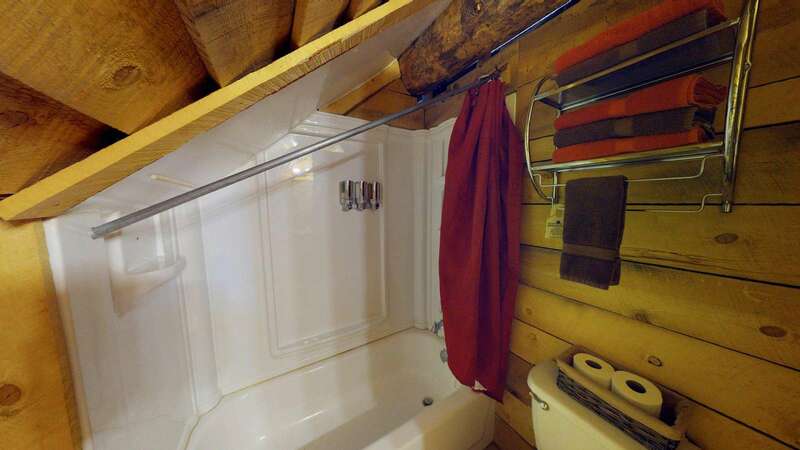 The cabin was clean, well equipped and no detail was missed. When we first got to the cabin we were speechless at how beautiful it was! The owners/ hosts made our visit so easy and memorable. We are already planning our next trip back! 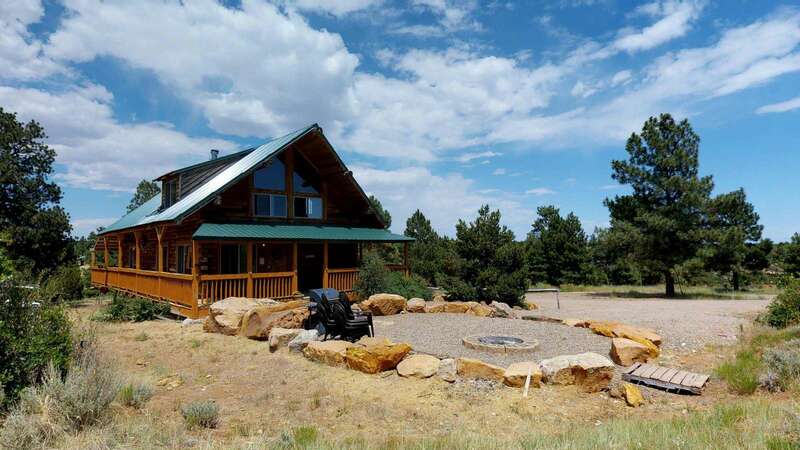 very nice cabin in very remote location...cable is weak, Moab is 50 miles away, but the canyon view family cabin is cool and roomy. 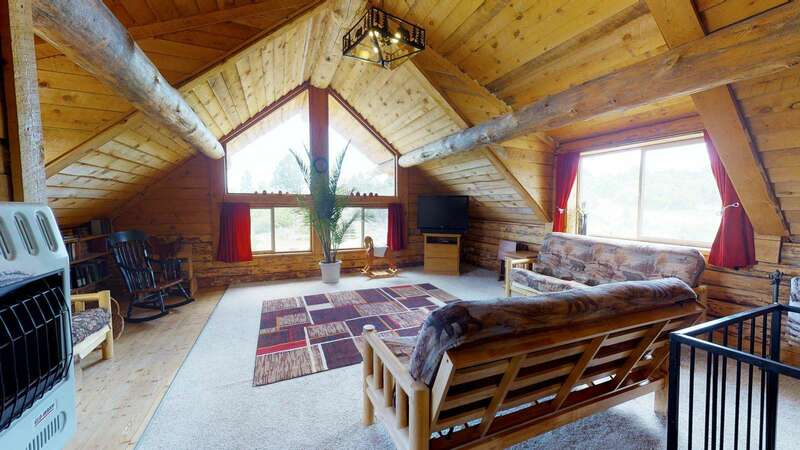 “The Canyon View Cabin is absolutely stunning. It surpassed all the pictures and expectations . I've travelled to over 90 countries. I've paid from next to nothing to top Money for places. This place is good value for money, especially if there are three or more of you. 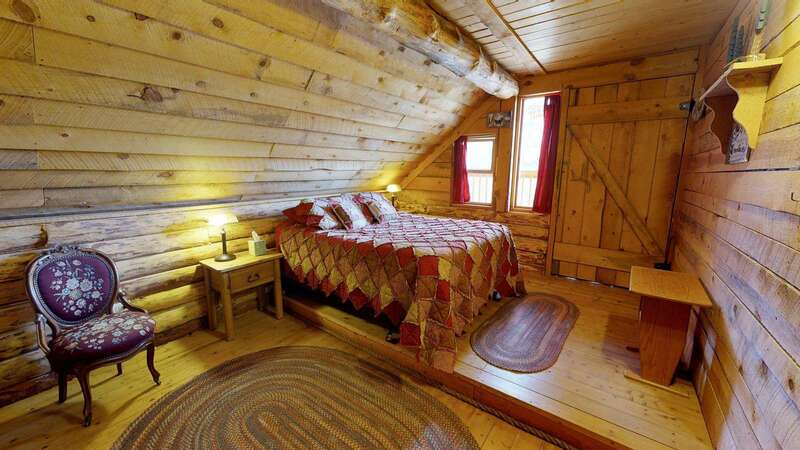 It easy sleeps 3 single adults or 3 couples. Great for families. I can't emphasise how blown away I was, so peaceful and I was quite gutted to leave. 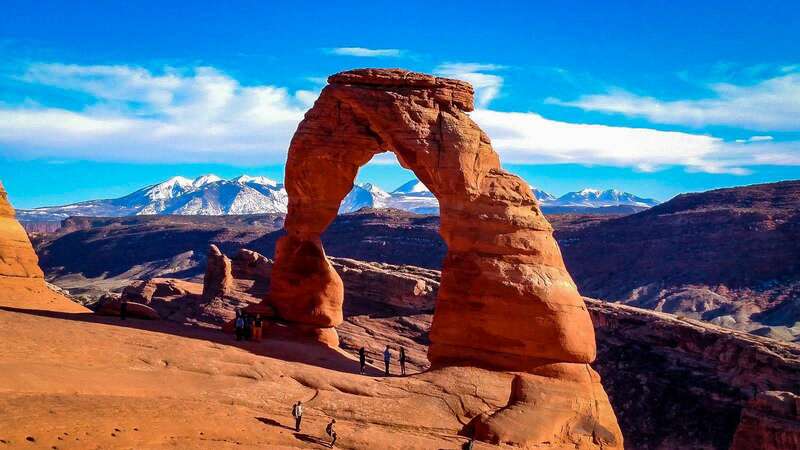 Location wise, it may be a tad far for some to Arches if that's your primary goal but if you don't mind drive, it's only a 45-60 min drive to Moab/Arches. The Needles district of Canyonland is within 30 mins. You have Goosenecks/Natural Bridges/Monument Valley/Valley of the God all within 90 mins so plenty to do. Make sure you get back and spend your evenings here, great gas cookers outdoors. 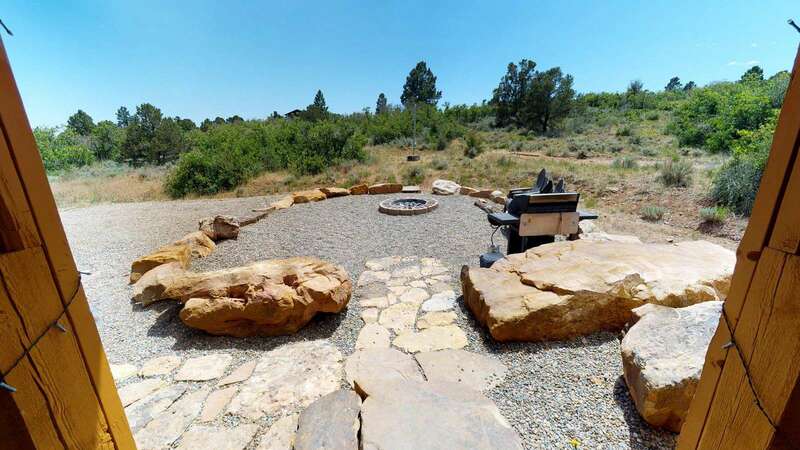 Amazing fire pit, I can't say enough about this place so will leave stop :)"
Immaculate and impressive cabins. Location of the Canyonview Family Lodge is superb to The Needles District if Canyonlands and there is tons to do all within a 90 mins drive. Interaction with management was effortless. I can't speak highly enough about this place. I'd love to return someday. Fairly central - close to the southern entrance of canyonlands (Needles) and to Manti La Sal / Mt. Abajo parks. About and hour drive from Moab. Check-in and directions could not have been easier. The space itself was clean, quiet, and well stocked with everything we needed for a great stay. Definitely recommend! Also... recommend contacting Jerry directly with any questions prior to booking, as he was very helpful in planning our trip. 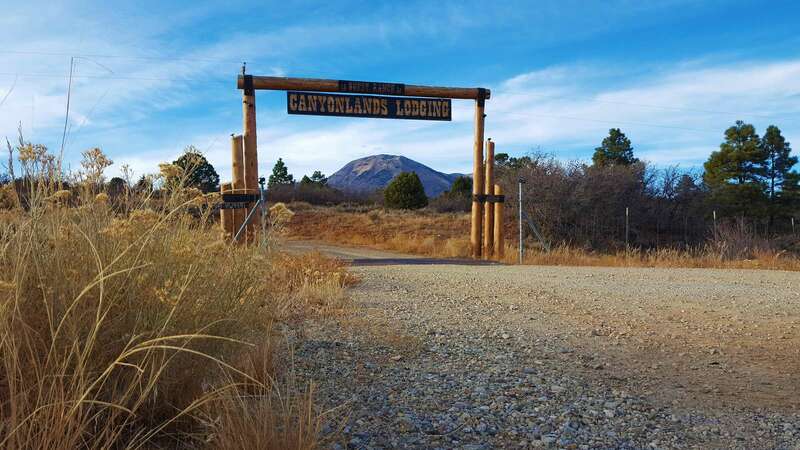 Just do an internet search for Canyonlands Lodging. Cheers! 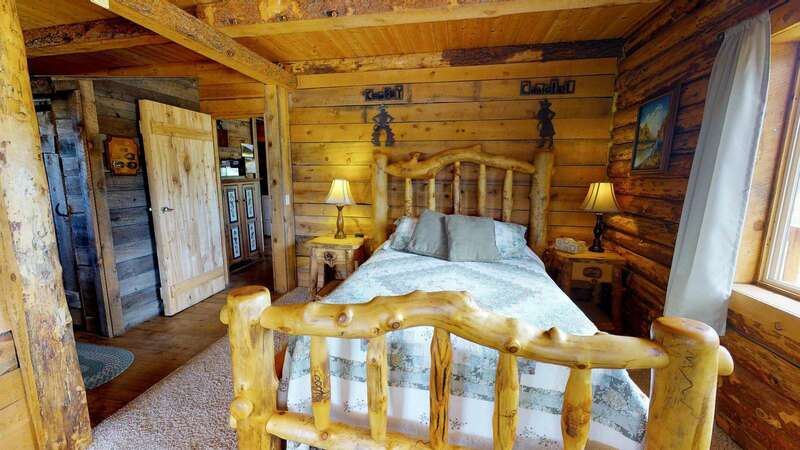 Great cabin...a bit far from Moab but really great place to stay with a family. 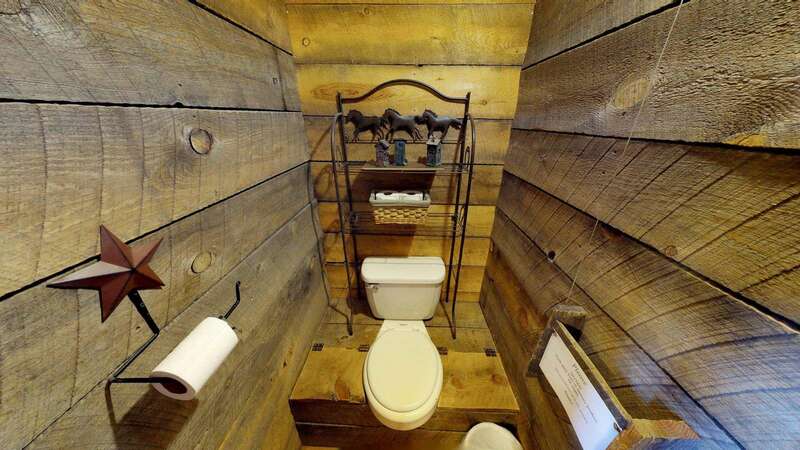 Rustic, tasteful, comfortable. Loved sitting around the fire pit at night with millions of stars visible! Wish we stayed longer! We stayed here with two families, 11 people total. 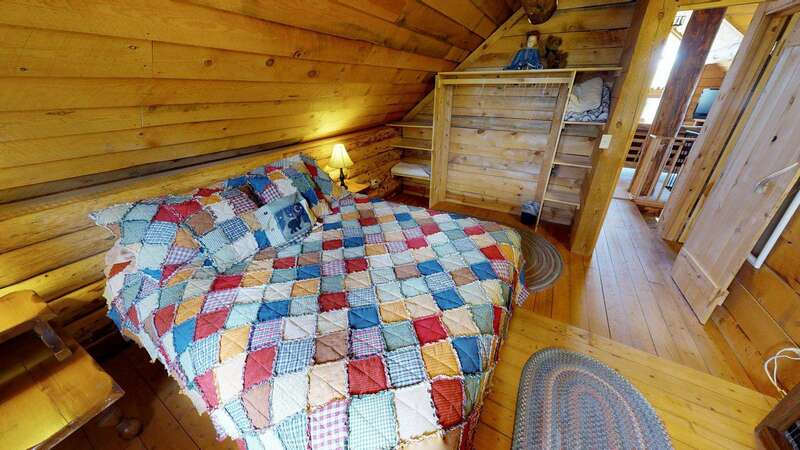 The cabin is clean and quite roomy, and very well stocked. The water situation is the only drawback. The water pressure is a bit low and the shower temperature a bit low too. Everything shown is exactly what it is and then some. We had the best family vacation. It started with fantastic communication, followed by a perfect recommendations on places to visit and how to get there, and finally a beautiful location with incredible views! We will be back." It's best suited for groups of 7 and above. It's very roomy. The loft is a wonderful hangout for the evenings. There's a lot of personality in the furnishings and decoration. It was a great "home" to come back to for a few days as we made day trips to the national parks. Good location between parks. The kitchen had everything you would need. They even had shampoo, Conditioner, soap, etc. which most don't. They even had fresh muffins when we checked in! This house (home) was the best place we have stayed (and we travel lots!). It has the feel of a truly comfy and FULLY STOCKED home! There were four of us and we all agree UU are truly gifted in making your visitors feel at home (UU even left me cream for my coffee!!). We found it immaculate when we arrived, and it was so easy to keep it clean!! A fully stocked kitchen, plenty of towels and bedding made it a perfect place to stay. 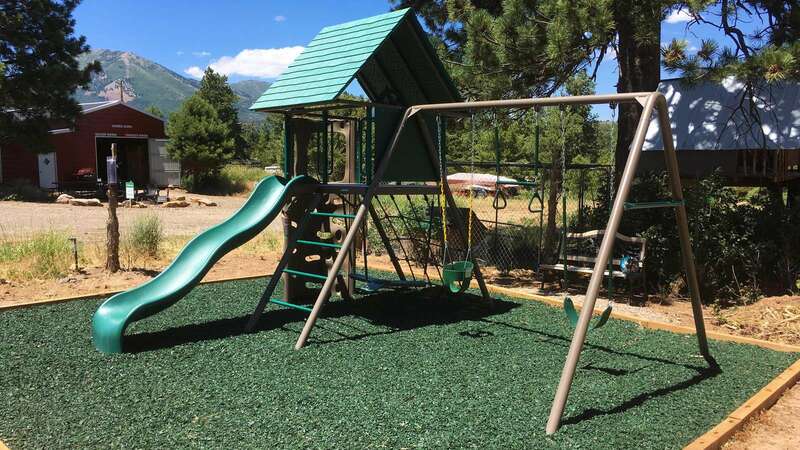 Although this was an adult getaway this time, we want to bring our children and grandchildren down in the summer to take advantage of your summer activities!! Thanks again for sharing this amazing property!! It is off the beaten path and private. The decorations are very nice and having a Christmas Tree up was a plus. The kitchen is well equipped and I love that the drawers are all marked so you know where to find stuff. We had a wonderful time. Thank you! 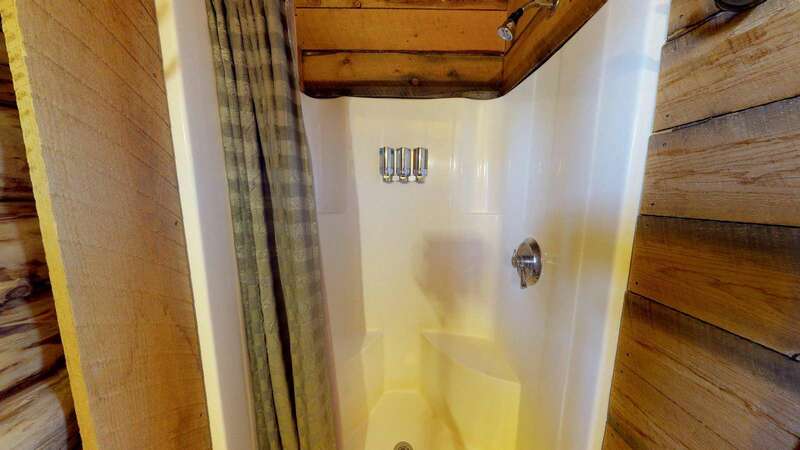 The cabin has everything you need, High speed internet, it's very cozy, all the utensils, crock pot, fryer, rice cooker, tall lighted Christmas tree by a large window. 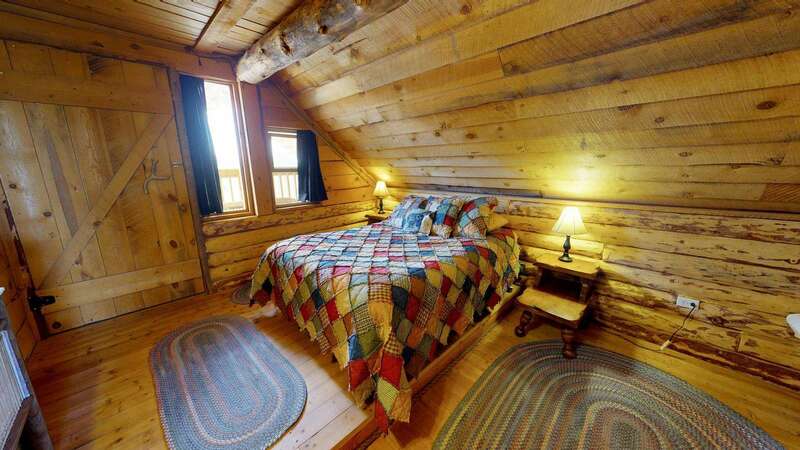 Perfect cabin to get stuck if it is snowing outside. We were snowed in on the last day of our vacation. Snow capped Abajo peak backyard view. It was just perfect. 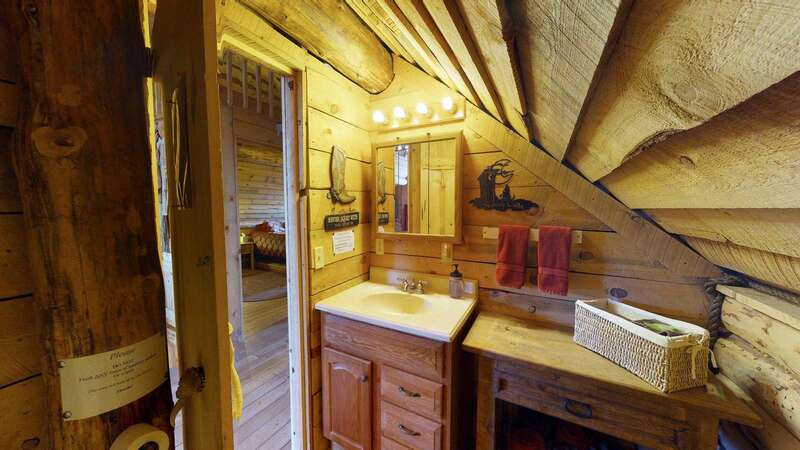 A side note, the cabin was built and decorated by Jerry and Tina, the managers, with their kids. A lot of love went into it. It's really cool. We had a wonderful stay at the Canyonview Cabin. One of the staff members, Kaden, met us shortly after we checked in. Cookies and the sarsaparilla were waiting for us. 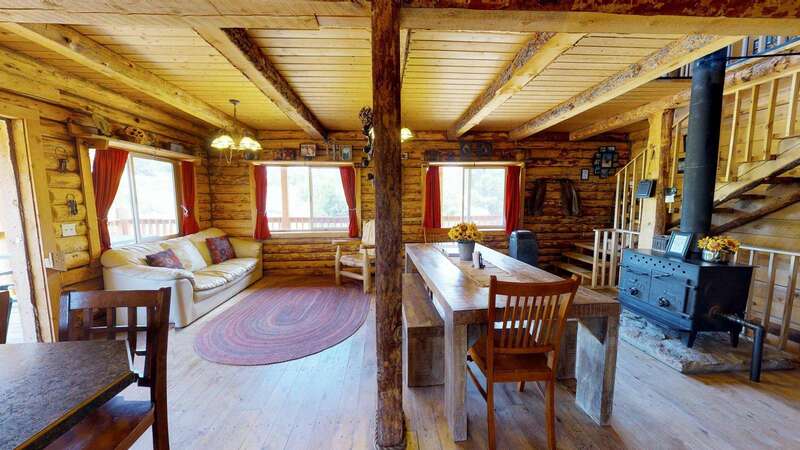 The cabin is exactly as advertised and then some, with a wonderful ambience and location. The kitchen is amazingly well stocked, with a large coffee maker, rice cooker, large slow cooker/crockpot, roasting pans large enough for a 12-14 lb turkey, and just about every other desired item. I mean, remember your crème brulee torch if that's your thing, but otherwise you'll be set for whatever feasts you desire. The cabin was decorated with seasonal items, including a Christmas tree that was invitingly lit and glowing through the living room windows when we arrived. 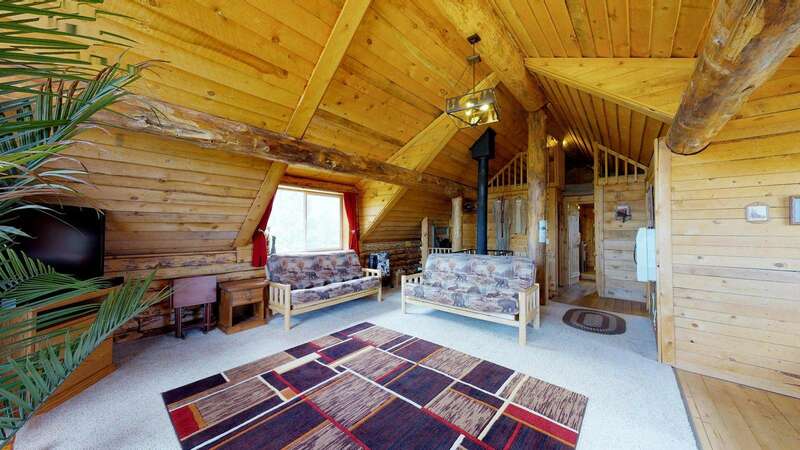 Overall, the cabin is perfect for a large family or two smaller families. We look forward to visiting again soon! One of the staff members, Kaden, met us shortly after we checked in. Cookies and the sarsaparilla were waiting for us. 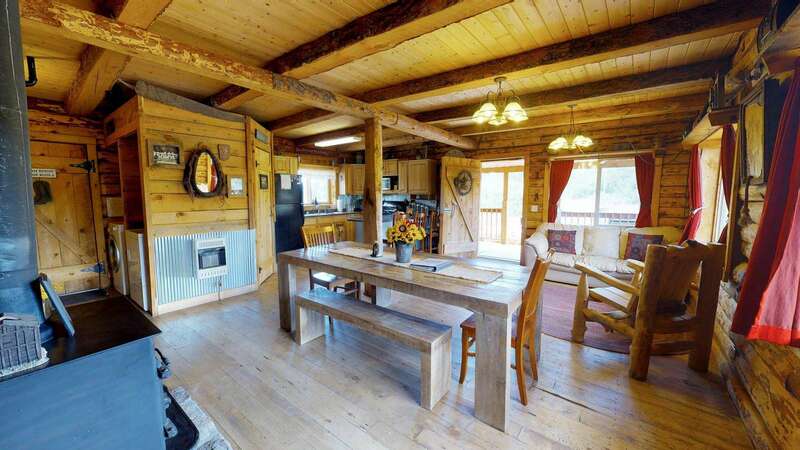 The cabin is exactly as advertised and then some, with a wonderful ambience and location. 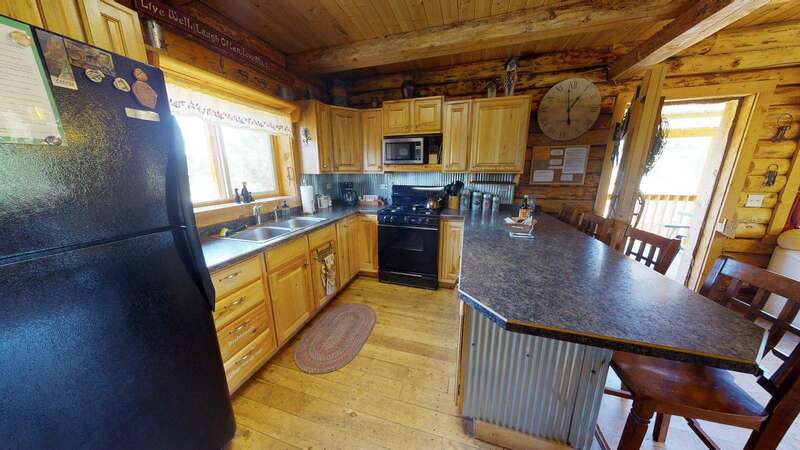 The kitchen is amazingly well stocked, with a large coffee maker, rice cooker, large slow cooker/crockpot, roasting pans large enough for a 12-14 lb turkey, and just about every other desired item. I mean, remember your crème brulee torch if that's your thing, but otherwise you'll be set for whatever feasts you desire. The cabin was decorated with seasonal items, including a Christmas tree that was invitingly lit and glowing through the living room windows when we arrived. 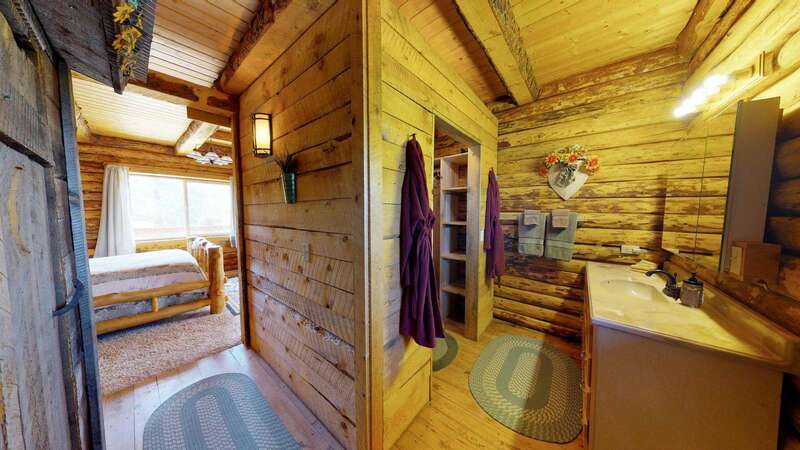 Overall, the cabin is perfect for a large family or two smaller families. We look forward to visiting again soon! We rented two cabins. Everyone was very pleased with their accommodations. We had some confusion about the size and what to expect before we got there. The Blue Mountain Lodge actually has 4 bedrooms and a VERY large loft with LOTS of beds which was great for all the cousins. 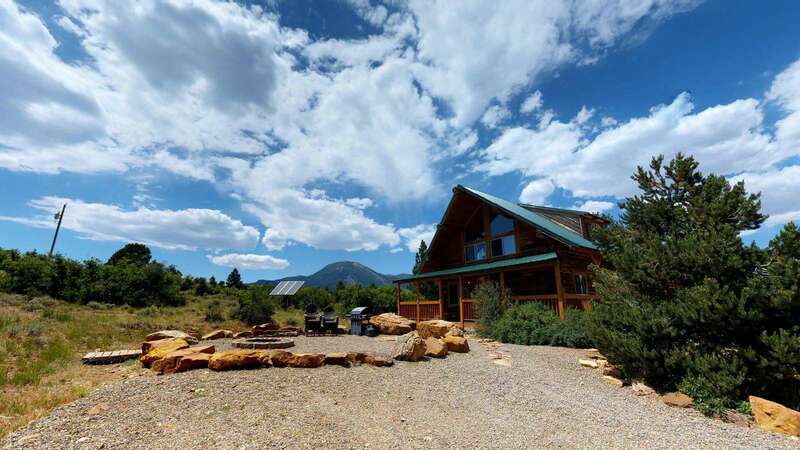 The Canyonview Lodge has three bedrooms, a loft with 3 futon couches, and another small loft that is possible that a couple or one person could sleep in. We had a very nice time. Canyon View - A Great place, well stocked, attentive but non-intrusive hosts. Would highly recommend for a family or group. 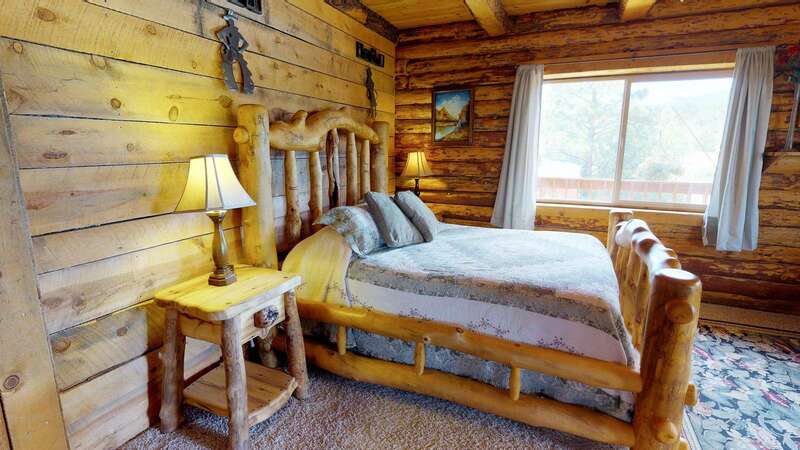 Response: Hi, yes our rustic western decorations include barn hinges on the bedroom doors, they have been oiled now. Thanks for the heads up on that. Hurry back! Thank you so much for our stay at your Canyon View Family Lodge these last few days. We had an absolute blast! This place is truly beautiful, and we hope to all come back some day. We'll certainly remember the moments we had all together!